Planting InstructionsBest coloration in full sun location. Winter CareNone except to mulch the first winter if fall planted. Remove early in spring. 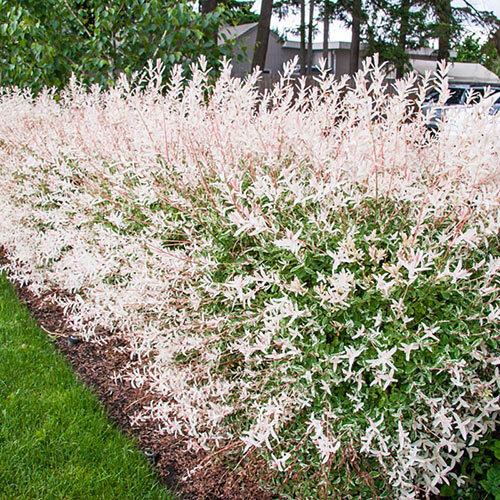 Foliage TypeNew growth emerges green and creamy white - with pink overtones. The pink fades as the leaves mature leaving beautiful variegated leaves. Soil RequirementMoisture retentive, well drained soil. PruningAnnual light pruning will encourage best variegation for the leaves. Late winter to very early spring. Additional InformationIntroduced by Harry van de Laar (a Dutch Botanist) in 1979. Very tolerant of wet situations. Unique CharactersticsThe Japanese name refers to the beautiful coloration of the leaves. 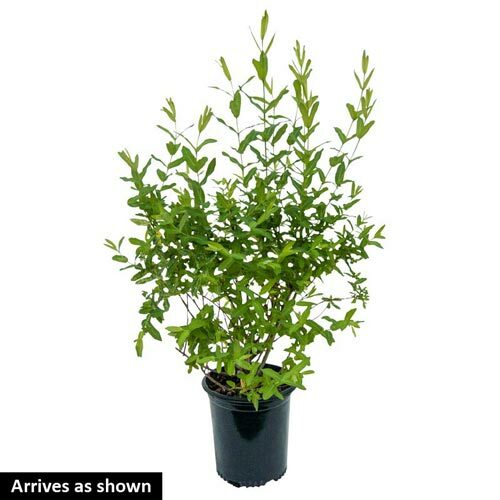 A popular small mounding shrub that is slow to establish but the wait is well worth it. Petite yellow catkins emerge in early to mid spring on the rich red stems followed by new growth.